Due to lack of any result oriented laws, the legal battles for such issues like recovery suit, arbitration etc takes a long period to get resolved. Further, even after an order from the court, execution becomes another nightmare. 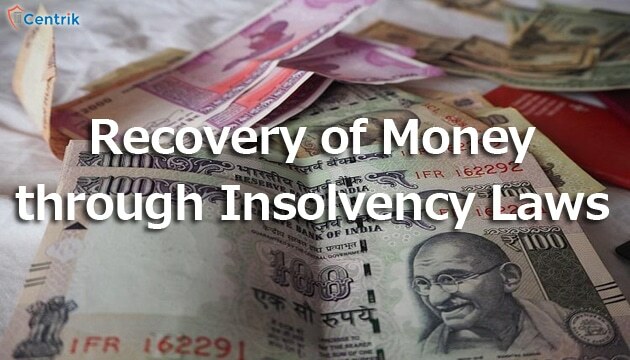 The Insolvency and Bankruptcy code, 2016 (IBC) is the new act which came into the picture on 28th May 2016 with the objective to protect the interests of all the stakeholders, creditors or persons who have to recover some dues from the corporate persons. With this objective, the National Company Law Tribunal (NCLT) is entrusted to decide the applications filed against the companies, under IBC. Both the types of creditors (financial and operational) can approach NCLT to recover their dues at earliest possible. Before enactment of IBC, there were other recovery mechanism or acts which were prevailing in the country to help the individuals or creditors to recover their stuck money. But those methods were not effective enough to provide quick and effective relief to the creditors, therefore many creditors used to avoid such mechanisms or filing any case under other enactments. The central government has come up with a recovery mechanism which is timely in nature and provides efficient redressal to the aggrieved by enacting IBC. Now under IBC, the creditors have been provided with a recovery mechanism which is quicker and more efficient than the conventional methods which existed initially. If any company is not making the payment as per agreed terms, then an insolvency petition may be filed u/s 7 or 9 based upon the facts, before NCLT to initiate the insolvency proceedings. Most of the company settle their issues on notice. If the default is proved then insolvency proceeding is started against such company. Under IBC, the whole procedure adopted under IBC has to be completed within 180 days or 270 days including the extension period of 90 days, provided the extension is reasonably justified. Secondly, the IBC is creditor-oriented and not promoter oriented, thus making the IBC a better recovery weapon from the defaulting companies. As per Govt resources, IBC has helped the creditors to fasten the recovery of around 3 Lakh crores since its inception in 2016. Out of whole 3 lakh crore, recovery of Rs. 71,000 crore relates to the resolution of 60 odd cases and Rs. 1,20,000 crore has been recovered from the IBC warning only, via settlement arriving at the initial stage. Moreover Rs. 45,000 crore – Rs. 50, 0000 has been recovered through repayments made by borrowers to convert NPAs into standard accounts. Promoting the recovery of such a huge amount within 2 years is a significant benchmark and the same is expected to increase dramatically in the coming future. In the light of above data and the objective of IBC, it’s advisable to all the creditors or stakeholders of the company to recognize their rights under IBC and proceed to recover their money which is stuck or not being repaid. Also, approach NCLT as earliest as possible to bring a quicker resolution for the defaulting companies. I had invested a huge sum with a local builder Mr A. Augustin, (cell )Prop. of AAA Associate/AAA Construction, 81 RP Road, Chromepet, Chennai-44, in 2012-13 for his projects in Citlapakkam, Chennai, against MoU & sale agreement. He is supposed to handover poession of 2 flats or to return my capital + interest. Even after many years, neither he had given possession nor returned the money. I hv reminded his umpteen no of times thru’SMS & emails. Pl advise me how to recover the money from him.